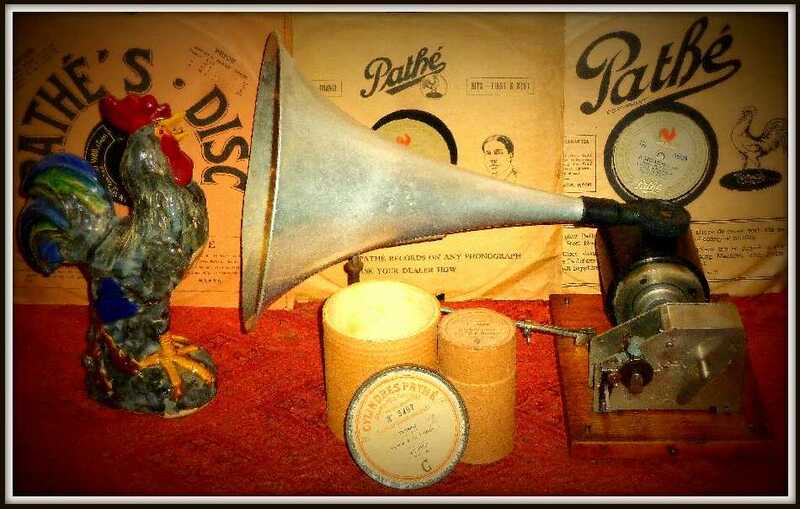 [Vintage column] Shure going out of the 78RPM business! This seems to be my year to mark the passing of corporate institutions. A few months ago, I digressed from TNT's usual focus on things audio to offer a remarks occasioned by the shuttering of the Ringling Brothers circus. Today, I sadly turn my attention to a line of products much closer to home. In 1933, a company that had been manufacturing kits and parts for the then-hot-new-thing home radio market made its debut as a supplier for the record trade, manufacturing crystal cartridges for playing the 78 RPM records that were standard in the day. 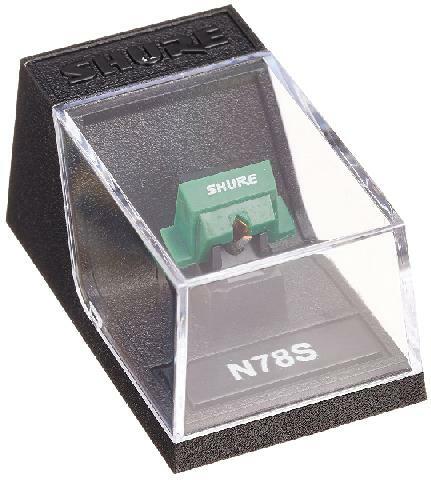 From that humble beginning, Shure Bros. of Chicago would go on to become the largest supplier of phono cartridges in the United States, a name synonymous with the moving magnet cartridge, and among other things the first to market a stereo cartridge. In all that time, the company stayed true to its roots in continuing to supply at least some cartridges and styli for playing 78s. In recent years, the models in question were the M78S mono cartridge and its corresponding N78S stylus, which was also available separately to fit most current Shure models, right on up the the sorely missed V15Vx-MR, the last manifestation of the fabled tracks-anything-at-a-gram-or-less V15 series introduced in 1964. So there you have it: after better than eight decades, Shure is out of the 78 RPM business, at least in the United States. What may be more ominous, if the company's website is any guide, it appears to have greatly reduced its entire range cartridges: where once Shure made available a wide array of models at various price points, when checking for the M78S I found only six: one low-end budget model; the current flagship M97xE (self-proclaimed "audiophile"), modest-priced successor to the late, much lamented V15Vx-MR; and four aimed at the DJ market. Contrary to what many may think, I don't go back all the way to Shure's founding, but that said the company's products and I do have a long history together. The cartridge in my very first "real" stereo set, assembled on less than a shoestring when I was in college in the late 1970s, was a Shure M91ED, which I inherited with a giveaway BSR McDonald turntable, and when in short order I parlayed that lackluster platter spinner, which lacked a 78 speed, into a well-worn Dual 1218, which did have 78, I retained the Shure and added a stock 78 stylus for it. Later, after a brief flirtation with a stereo-store-model Empire and a longer digression into bottom-end Grados, I "graduated" to a Shure V15-III, purchased in its original "Mediterranean style" fake wood presentation box for the princely sum of $35 at a community yard sale. A couple of years later, while at a local stereo store, I nabbed another for free from a jar of junk trade-in cartridges. One fitted for LPs and the other for 78s with Shure's stock "78" stylus, mounted in separate headshells, those did yeoman service as my sole cartridges all the way through the days when Shure dropped the V15 line and up to its resurrection with the V15Vx-MR, at which point I shifted to that model. Shortly thereafter, I procured several N78S stylus assemblies and had them retipped with various custom sized styli for use with the V15Vs. Those have been my "principal" cartridges ever since, although, oddly enough, occasionally I still find that that V15IIIs track certain records better. Through all that time, Stanton--itself reoriented to focus on the DJ market since its purchase by Gibson, the guitar maker, a few years ago--was a de facto standard of sorts for 78 playback, but, ever the contrarian, I liked, and like, the Shure "house sound" better. It saddens me to think Shure will supply neither an option for those who are getting into 78s and need a starter cartridge nor a supply of "raw materials" for those who are further along and want to explore retipping. Yes, aftermarket suppliers like Jico will probably continue to make stylus assemblies available, and in fact one of my collector friends tells me he has found an inexpensive "generic" 78 stylus assembly that he likes better than the N78S, because it has a larger tip size, more appropriate for the acoustic era recordings on which he concentrates. I've not tried any Jico products, although I know they come well regarded, and I don't know about my friend's assembly, but I do have a word of caution about generic 78 styli generally: many, particularly the cheaper ones, are just larger tips mounted on standard LP cantilever assemblies. From sad experience, I can assure you such assemblies simply are not satisfactory for playing 78s, because LP assembly cantilevers can't take enough tracking force. Hence, given the surrounding circumstances, I wouldn't recommend anyone start out with Shure for 78s now. I do urge any 78 collector who already is invested in the company's products to do what I've done and grab a few spares now, before the eBay vultures scoop up all the remaining stock and send prices soaring as they did with LP styli for the V15Vx-MR. Sorry to be the bearer of bad news--just, please, don't shoot the messenger!